It appeared that Bill Doolan’s death was a suicide. He was dying of cancer. He had just gotten word from his doctor that he could expect to live about three more months, and they would be filled with pain. And so, Doolan put his affairs in order: he even called a cemetery and bought a plot there. Then, while listening to music in the dark, he shot himself. This is the first book I’ve read for fun in a long time: over a year, in fact. While at seminary, most of my reading ends up being theological in nature (and not exactly suited to this blog). Hence my long absence. This means that my reviewing skills might be rusty. Please bear with me. I don’t quite know what it is about Mickey Spillane and Mike Hammer, but they keep drawing me back in for more. I distinctly remember hating I, the Jury. I enjoyed Lady, Go Die!, a sequel completed by Max Allan Collins, a lot more. And once I read One Lonely Night, I found that my opinion of Spillane had done a complete 180: I found in his prose a fascinating kind of rough poetry. There was a visceral quality to the writing that attracted me despite my repugnance to Mike Hammer’s morality. 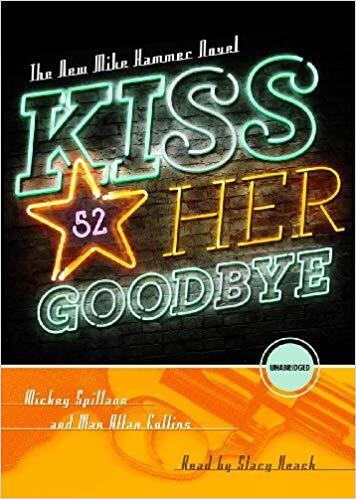 I’m happy to say that, even though Kiss Her Goodbye was completed by Max Allan Collins, the writing remains top-notch quality and reminded me exactly why I came to genuinely enjoy Spillane’s prose. 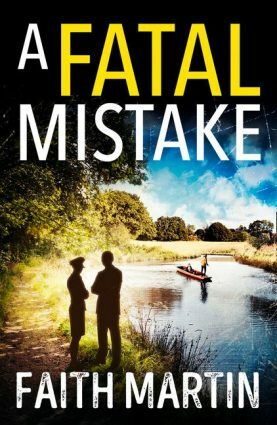 Despite a note from Collins at the start of the book, explaining how he pieced two partial manuscripts together, for the most part I have no idea where Spillane stops writing and where Collins picks up. This is, quite simply put, a wonderfully written book. I enjoyed the plot quite a bit. Spillane’s plots tend to be labyrinthine and full of clues pointing to the killer. I also tend to guess who his criminals are going to be very soon after they are introduced. This held true once again – I wasn’t surprised by the ultimate destination, but it was such a wild ride to get there that I enjoyed it from start to finish. Mickey Spillane was once the most vilified writer in America, and although his violence is tame by modern standards, I don’t know whether modern readers will take kindly to Mike Hammer. Heck, I myself continue to have issues with Hammer’s code of ethics. In fact, one scene about three-quarters of the way through Kiss Her Goodbye stands out as particularly disturbing, highlighting just how much Mike Hammer enjoys killing. I don’t want to get too deep into spoilers here, but that scene leads to an introspective moment. This is one of the things I have come to love about Mike Hammer: he’s certainly not a role model, but he is a profoundly interesting character. 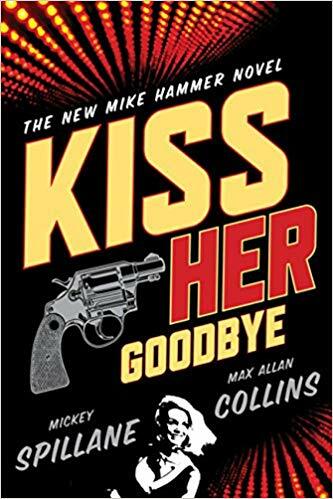 Overall, I think that Kiss Her Goodbye is a good read, especially for anyone who is already a fan of Mike Hammer. It’s a fast-paced read, with a solidly constructed plot and fantastic writing, the kind of vivid prose I wish I had the imagination to come up with myself. It was a pleasant change of pace for me, and I’m certain that it won’t be the last time I reach for a book from this section of my bookshelf. A very thoughtful review. A paperback will, before long, restore my original ending, which the editor objected to. Stay tuned for that. But you raise an interesting point -- you don't have to agree with Mike Hammer or even like him to find him interesting and even fascinating as a character. That was me, Max Allan Collins, above. Thanks for dropping in, Mr. Collins! I loved the book and will definitely keep my eye out for that original ending you're alluding to!